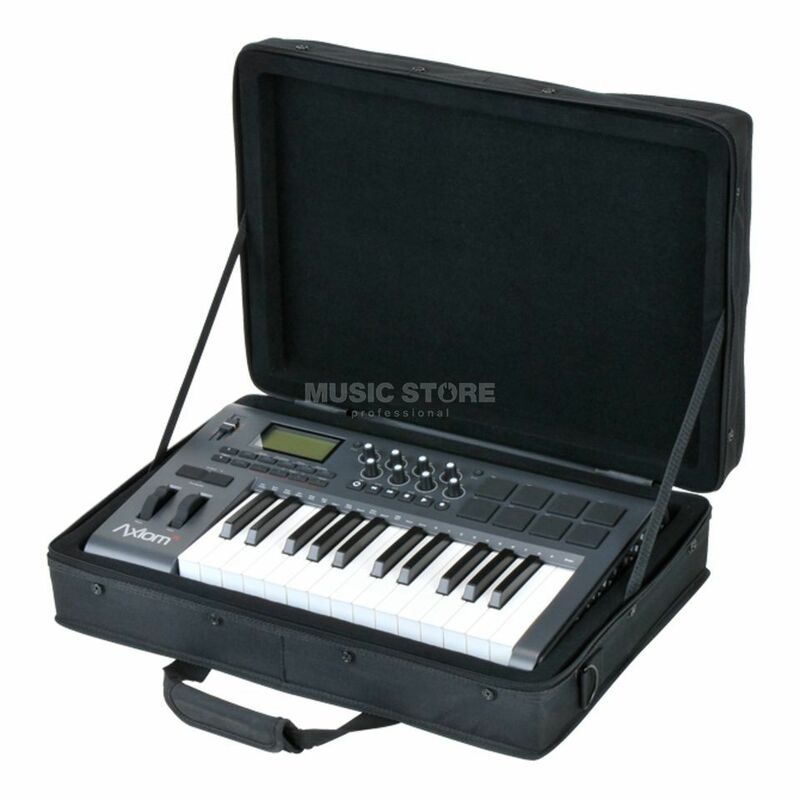 The SKB 1SKB-SC1913 Keyboard-Controller Bag is a keyboard-controller bag, made from durable 600 denier, with an accessory pouch, and dimensions of 527 x 375 x 146mm. The 1SKB-SC1913 combines the protective qualities of rigid foam with the style and portability of a canvas bag to accommodate popular DJ performance controllers or small MIDI controller keyboards. A padded interior, padded carrying handle and shoulder strap provide lightweight portability. The 1SKB-SC1913 soft bag will accommodate products such as the American Audio VMS4 MIDI Station controller, Axiom 25 Midi Keyboard and more.